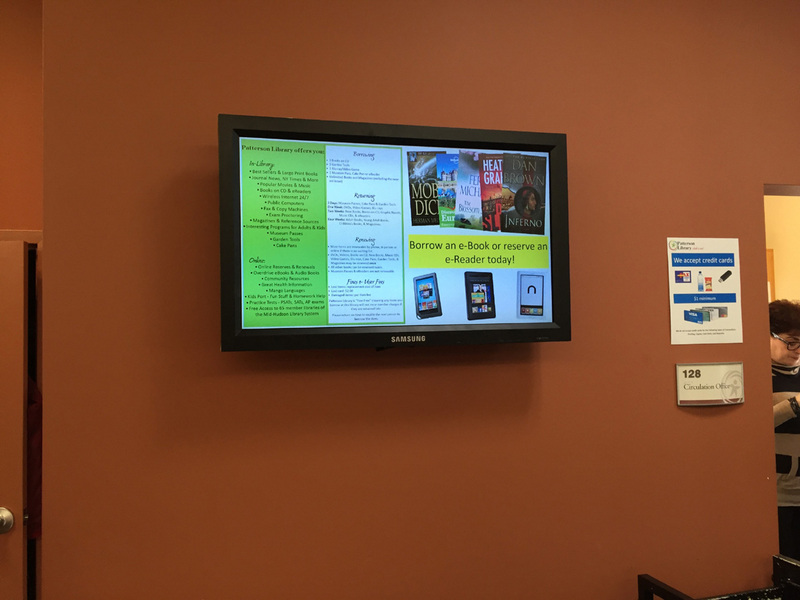 Believe it or not, digital signage is seen each day by over 70% of the population. Research shows that we spend an average of 8 hours per day in front of a screen of some type, including televisions, computers, tablets, smartphones, or increasingly… digital signage. 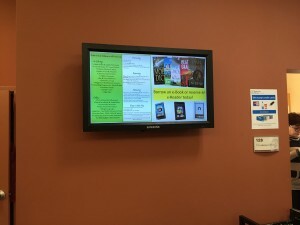 Pretty much everywhere you go and everywhere you look, there is some form of digital signage. Businesses, entertainment venues, and educational institutions, as examples, are continually using digital signage to take messaging out-of-home and engage with audiences in compelling new ways. The ROI of adding digital signage is now proven, but one question seems to always pop up… “Which digital signage display technology is right for me?”. We’re going to clear up some of the current confusion between LCD flat panels and direct view LED displays. Deciding which technology is right for you boils down to your application, objectives, and budget. To the first order, if your viewers are going to be up close and personal with the display (a few feet away), an LCD is better suited. If you’re going to be viewing from much longer distances (requiring a very large image), then LED may be the way to go. Of course, it’s not that simple with other considerations that may favor of one over another. There is resolution, pixel pitch, image size, ambient light, indoor versus outdoor, along with building codes, installation, servicing, and last but not least, budget. LCD flat panels come in 1080P and 4K UHD resolutions. The higher the resolution, the more pixels per inch, and the closer the viewer can be. Common sizes range from around 10” all the way up to 95” diagonal. In terms of brightness they range from 300 nits to 700 nits for low to medium ambient light conditions, and 2500 nits for high ambient light and outdoor applications. Direct view LED displays come in an almost unlimited range of sizes, up to 100 feet (or more) in width. Pixel pitch resembles resolution in a flat panel… it is the measurement of how close the pixels are in a direct view LED, and the smaller the pitch, the closer the viewer can stand. In terms of pixel pitch, they are available in outdoor configurations from 10MM to 30MM depending upon the viewing distance requirements. More recently we have seen lower pitch indoor LEDs from 10MM all the way down to an amazing 1.1 MM from the team at Samsung. Just for the record, most of us would be happy to have a home theater with the Samsung 1.1 MM wall. Of course indoor or outdoor, brightness is the strong suit of LED at 4,000 to 8,000 nits. The higher the brightness of the display the more direct sunlight it can compete against. Keep in mind that there can be too much brightness and this must be considered in terms of local codes. One of the biggest considerations in display selection is image size versus viewing distance, and this is very different for LCD and direct view LED. Here are a couple of quick rules of thumb to guide you. For viewing a typical LCD, there is the 4/6/8 rule. A factor of 4 times the image height is needed for analytical viewing of complex information. A factor of 6 times the image height is for detailed viewing of common content, and 8 times the image height for general informational viewing. 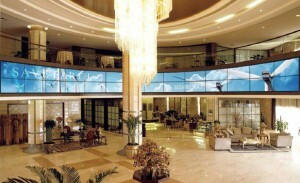 For direct view LED displays it is more complex. The pixel pitch defines how close someone should stand to the display before they will see the individual pixels (image will appear to be broken up). This calculation is based on the ability of the eye to resolve a small object as separate and distinct. To determine an LED display’s minimum viewing distance, you can convert the pixel pitch into a distance in meters. Simply multiply the pitch by 1000 to convert. For example, a 6MM pitch would have a minimum viewing distance of 6 meters or just under 20 feet. This is the critical specification in ensuring image quality when using an LED display. Do the math, and realize that from a visual perspective, you cannot break the laws of physics. Another key differentiator is indoor versus outdoor applications. The vast majority of LCD displays are intended for indoor use. Yes, there are a few LCD displays that are IP56 outdoor rated for temperature and humidity protection, but non-rated models will require an enclosure if used outdoors. On the direct view LED side of things, the majority are rated for outdoor use but the newer, finer pixel pitch displays are rated for indoor applications. As you can see there is a lot to consider as we looked at resolution and viewing distance versus image size as well as brightness, but the 800-pound gorilla in the room is the actual application and the budget. Simply stated, direct view LED is more expensive than LCD but there are applications where they cannot compete. If you want a huge outdoor rated display in high ambient light, direct view LED is the only real choice. If you want a smaller indoor display with the viewer closer to the display, then LCD gets the nod. The big decision comes when the new finer pixel pitch direct view LEDs with their high brightness and bezel free image run into an LCD videowall. The LCD videowall is capable of being matrixed in very large sizes and the new thin bezel designs make the image more and more seamless. The good news for LCD is one of value. The cost differential to do a similar job in a 1.1 to 2.5MM direct view LED, that would look as good from a short distance, is significant. High ambient light might be a mitigating factor for sure but the cost is not comparable and only the person who writes the check can make that value distinction. As noted in the beginning, there are places for LCD and direct view LED. There are also things that one or the other cannot do. It is understanding the application thoroughly and then the advantages and limitations of each technology and ultimately the budget, that will drive the final decision. A great place to see Samsung LCD and direct view LED is at the Digital Signage Expo in Las Vegas.